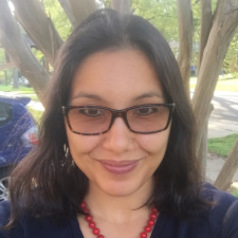 Victoria Reyes received her PhD from Princeton University and is currently an Assistant Professor of Sociology at University of California, Riverside. Her research focuses on how culture shapes global inequality, with a particular focus on U.S.-Philippine military relations. Her work has appeared in the peer-reviewed journals Theory and Society, City & Community, Poetics, and International Journal of Comparative Sociology. She has received funding from the Institute of International Education (2006-2007 Fulbright Scholar to the Philippines), the American Sociological Association (2014-2016 Minority Fellowship Program) and the National Science Foundation (2009-2012 Graduate Research Fellowship Program). She is writing a book about the Subic Bay Freeport Zone in the Philippines and was a 2016-2017 Postdoctoral Fellow for the National Center for Institutional Diversity at the University of Michigan.